With the immense knowledge and experience in this respective domain, we are engaged in offering high quality Executive Metal Ball Pen, which is admired in the market for their smooth writing. We present an extensive range of Metal Ball Pens. Our products are available in diverse configurations that meet on client’s demand. New Matahru Industries Shardaramji & Co. 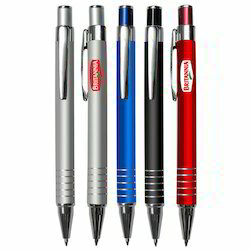 Counted among the prominent organizations, we are engaged in offering an elegant range of Premium Range Metal Ball Pens. Extensively demanded in by children, our offered pens can be customized as per the demands of patterns. K-Nine Writing Systems Pvt. Ltd.
Leveraging on our well-informed vendors, we provide wide array of Accu Grip Metal Ball Pens. These products are made at our vendors side utilizing the superior techniques in line with industry norms. In addition, our provided products are obtainable in varied patterns that meet on customers demand. 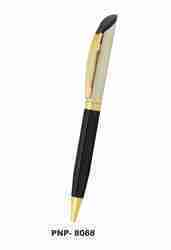 Apart from the conventional metal ball pens models, we are engaged into manufacturing of unique designed/specially designed products using high quality material such as brass and aluminum, which caters to the customer need.